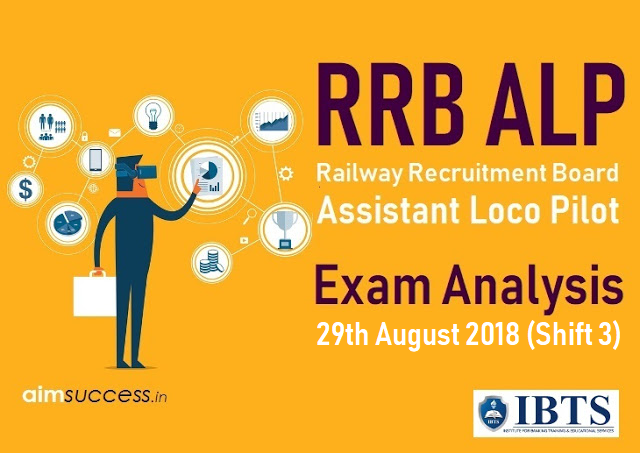 Railway RRB ALP Exam Analysis: Today (29th August 2018) Sixth Session of RRB ALP & Technician Exam Conducted by Railway Recruitment Board (RRB) and it will continue from 09th August to 31st August 2018. Here we will provide you the complete with a detailed section-wise analysis of Railway RRB ALP Exam Analysis 29th August 2018 (Shift 3) exam paper. Find wrong number from 2, 5, 8, 12, 19, 31. Below are some questions asked into the Shift 03 Exam. Below are some questions that came in the Railway (RRB) ALP exam shift 3.